Refrigerator Whirlpool WRF560SEYM00 - not cooling enough - Whirlpool WRF560SEYM00 Refrigerator Repair in San Jose, CA. 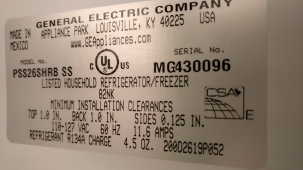 In the same week, our technician got two different calls for the same model of the fridge with the same exact issue - the freezer was not defrosting. 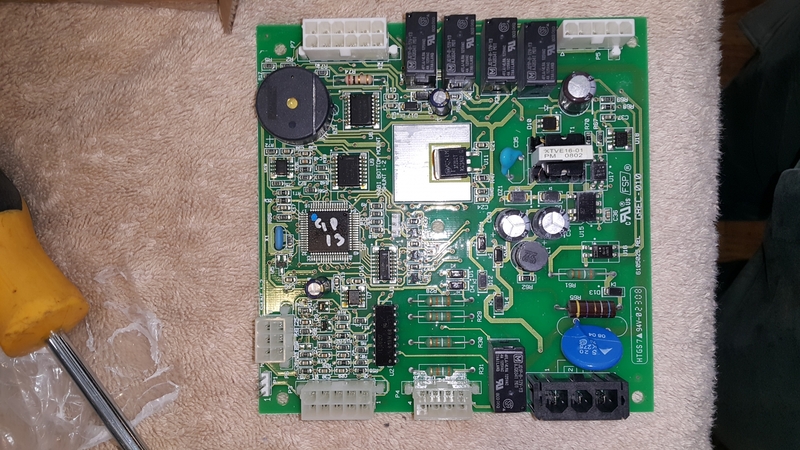 In case of the first fridge, its evaporator coil was completely covered with ice and replacing the Whirlpool Refrigerator Control Board WPW10336511 fixed the issue. In case with the second fridge, however, the reason for freezer not being able to defrost was quite trivial - the customers left the fridge door open a few times - so the freezer was defrosting but the top part of the evaporator coil would freeze and the air was not able to circulate because the fan motor would get covered with ice. Once our technician defrosted the evaporator coil, the Whirlpool WRF560SEYM00 refrigerator started working perfectly again.